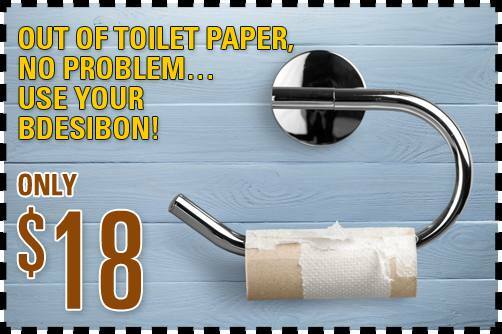 Sydney Plumbing Services » Out of Toiler Paper? Use a Bdesibon! When toilet paper is not available or it’s not to your liking (too rough), you’re in luck with Bdesibon. Whenever you visit a public toilet without toilet paper. The toilet paper available is rough, unhygienic or in short supply. Haemorrhoid sufferers who need to avoid further irritation. Camping or picnics when toilet amenities are not the best. Infants who get rashes easily or messy situations that require more than toilet paper. Caring for the elderly or convalescing, it’s a refreshing alternative that is much appreciated by patients. 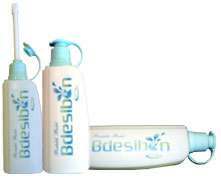 Introducing the portable bidet, Bdesibon – an easy-to-use, lightweight hand-held washer for your private parts. You can manually control the water pressure to rinse yourself quickly and without making a mess no batteries required! It is portable, quiet and you’ll no longer depend on toilet paper ever again! Use it while travelling, camping or for nursing the elderly. It is also great for people with haemorrhoids – cleanse yourself quickly, hygienically and with no pain! It’s easy to clean and has an anti-bacterial protective layer. Simply fill it with clean water and shower yourself privately.